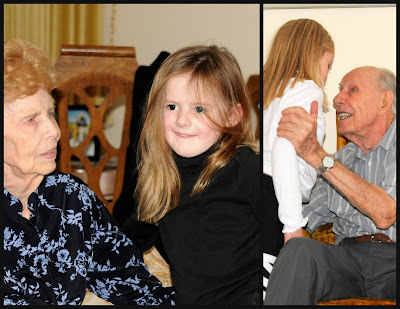 To conclude all of our Christmas festivities, we went up to visit Grandpa and Grandma Great. 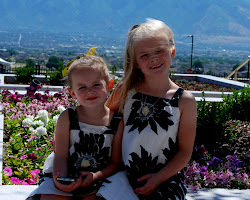 The girls love when we go visit them. They dance with the singing Santa, give big hugs to Grandpa and Grandma, eat chocolate and when they are lucky, they get to play an instrument. 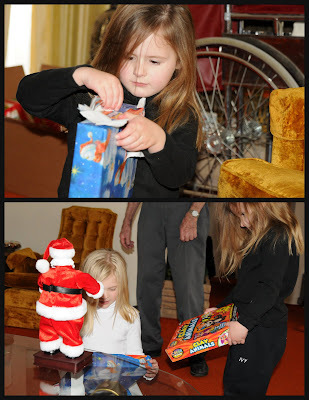 While Scott was helping Grandma Great into the living room, Grandpa gave the girls their presents and said to go ahead and open them. Rather than me thinking about being thoughtful and waiting til Scott and Grandma got in the room, I scrambled to get to my camera. Bad mommy. Jade was just finishing opening hers when they got in. Both girls LOVED their "Animal Clay" that doesn't dry out nor does it fall apart- unlike Playdoh. There were multiple spontaneous hugs from Ivy to Grandma Great- unfortunately I didn't get any of them. 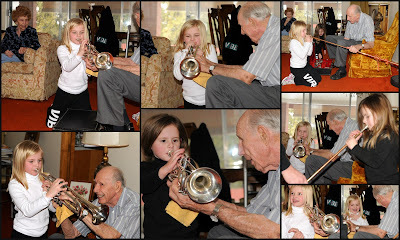 Jade asked Grandpa Great if they could play the trumpet. As an old band teacher, he is always willing to help out a budding musician. Ivy has a much harder time with it than Jade does but she still enjoyed it. In case you were wondering how well she sounds while looking so cute, I included a little video clip. Enjoy!